If you’re a family member of someone who has an eating disorder you are all too familiar with shame. What are some examples of how siblings might experience shame when their brother or sister suffers from an eating disorder? My sister Kacy was bulimic for over 15 years until her death in 2002. As months went on and her bulimia became more severe and co-occurring issues developed, we experienced the triggers for shame. It started with Blame. Simply stated, my parents were blamed for all of Kacy’s issues. It was a bold statement that our family was “that family”. Social stigma is powerful and as mental health is already stigmatized, having your family officially blamed only ads to it. As a result, I often felt that there was something fundamentally wrong with me and my family. Judgment. I was embarrassed when my friends came over and found mounds of food hidden in our room. They tried to be kind but I could tell they thought it was really weird. Honestly, her behaviors scared me too and the judgment on her, me, my family felt overwhelming. Sometimes Kacy would yell at, blame, use vulgarities and throw massive tantrums around mealtimes. It did not matter who was around. The perceived and real judgment of my sister supported that we were “flawed and therefore unworthy of love and belonging.” No Recovery. Each failed attempt at recovery felt like a failure as a family. In an attempt to make up for not helping Kacy and to make my parent’s happy, I became the “good kid”. When I was less than perfect, couldn’t fix my sister, let my parents down, I hated myself more. Depression, anger, anxiety, codependency and a sense that I was worthless grew from my shame. 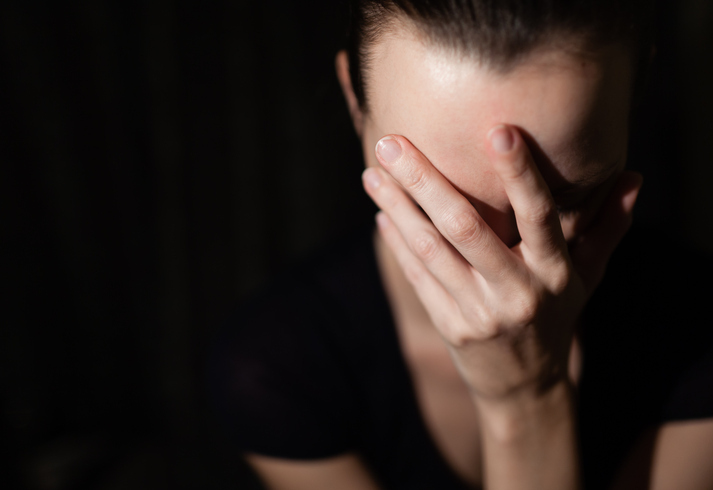 If you think shame has moved in with you or your family, consider these steps. 1. End the Silence! Yikes! When we feel unworthy the last thing we want to do is announce our failings! But that’s what shame counts on. Muster the courage to reach out to a trusted friend or family member, and let them know what’s going on. Their empathy will allow your pain to be heard and validated. They can also help you navigate strategies for the next step. A special note to parents. It is vital to help siblings through this journey. Depending on their age, they may not understand what is happening but know something is very wrong. Siblings are watching and listening to all of it. Attempting to shelter them from the eating disorder and your pain may seem protective, but, it actually feels like a dark secret. It sends the message that having the eating disorder or feeling sad or scared is something to avoid and never discuss. Simply listening and allowing the sibling to express their feelings without judgment, can go a long way. Add in education (age appropriate), open communication and special time with the sibling and you have some powerful tools to bring the family together and fight off shame. 2. Connect with Others in the Eating Disorder Community. One of the most healing words one can hear is that you are not alone. It is an excellent antidote for shame. Despite thinking no one could understand how much we blew it, failed, are the worst sibling, parent, partner, etc., trust me, you aren’t. When you reach out to others in the eating disorder community, you will hear your story. The first time I met another sibling, she shared feelings and experiences I thought were unique to me. The connection and relief of knowing another person understood my journey was an important part of my healing. Reach out, you are NOT alone! When someone you love has an eating disorder, the focus is on them. And, finding the proper diagnosis, effective treatment, dealing with cost, insurance, and recovery does not happen overnight. Siblings may have discovered the eating disorder, are terrified of what they’ve seen, distressed over the impact on the family dynamic and feeling forgotten. How can anyone possibly manage all of this with shame as the proverbial topping?! Finding a qualified therapist can help you untangle the deluge of feelings, including shame. You will also learn to manage stress, the importance of boundaries, learn the value of implementing time for yourself and help with family communication, care, and connection. Remember, you are not alone & you count too!